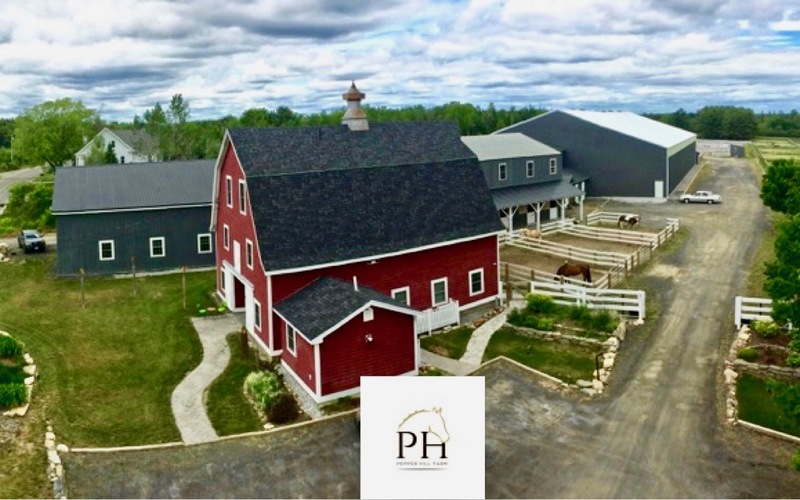 Stall Board or Outside Board w/ attached Paddock– We offer full service care for your horse at Pepper Hill Farm. Included in your monthly board is a large 12’x12′ rubber matted stall (cleaned daily), each with it’s own exterior dutch doors or window. Grain is provided twice a day while hay is furnished five times a day. Individual feeding plans can be tailored to your horse. Daily turnout (individual or small groups) is our usual practice at the farm, depending upon the weather. We are happy to provide blanketing services with our stall board. Each boarder will have access to a private (lockable) tack locker fitted with 2 saddle racks, 3 bridle brackets, lots of storage space, electricity and lighting. Private lockers are located in the heated tack room with seating. 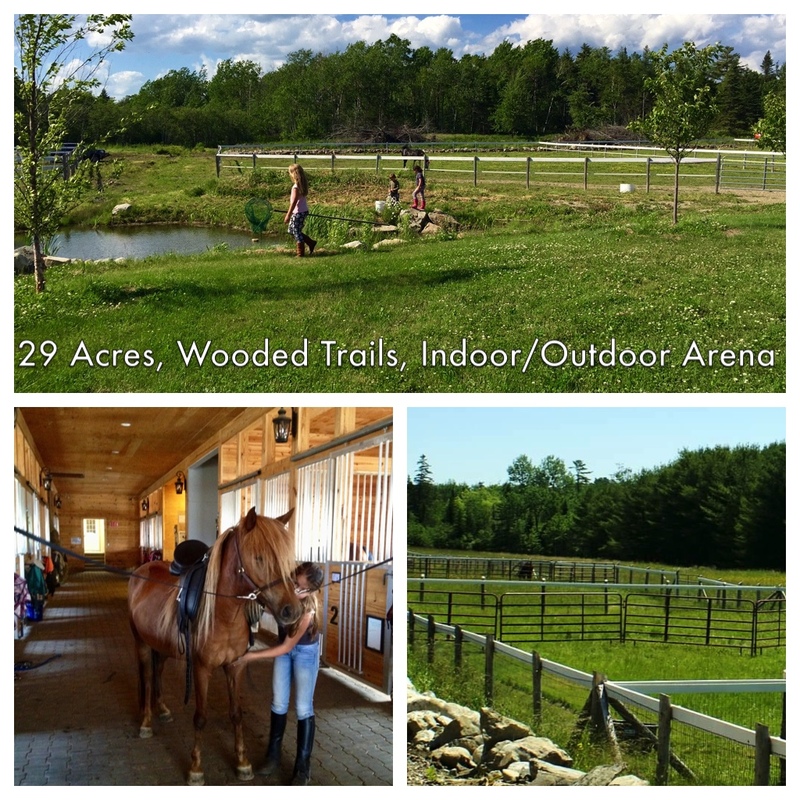 Also included is daily use of the entire facility, including: heated indoor wash stall, 100’x175′ indoor arena with LED lighting, 100’x200′ outdoor riding ring, 60′ round pen, indoor heated break room, outdoor picnic area, premier access to lessons, training and clinics, 28 acres of pasture and trails. Daily Board – Stall, paddock or pasture, depending upon availability. We supply bedding for rubber-matted stalls, but additional services are available for an additional fee. Daily fee: $25 based on availability. Call us for availability or reservations (207) 230.9552 for availability or reservations.